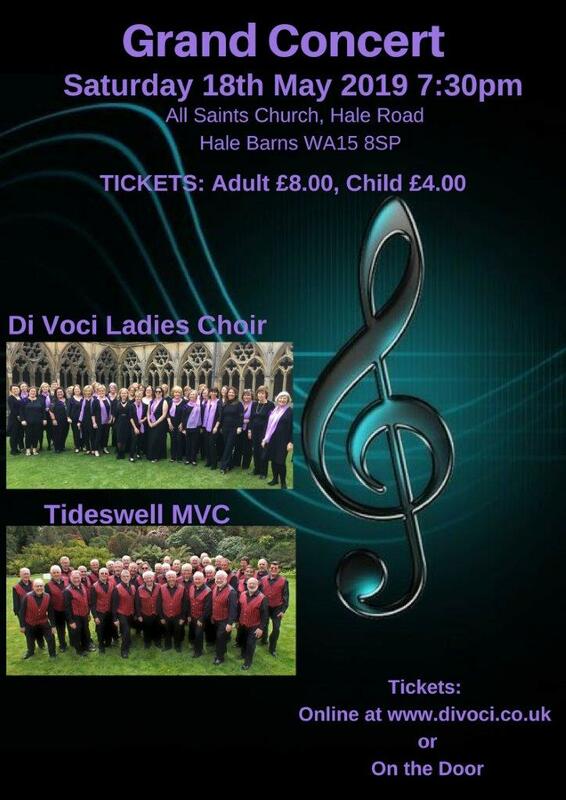 Di Voci Women's Choir will perform in a Grand Concert with guests Tideswell Male Voice Choir in what promises to be an amazing showcase for both choirs with a very varied programme. The highlight of the event is when the two choirs will join forces to sing Seal Lullaby and Leonard Cohen's Hallelujah. An uplifting evening of music is anticipated. Please join us.